The Old Gallery offers ground and first floor bedrooms, including a bathroom with M2 wheelchair access. 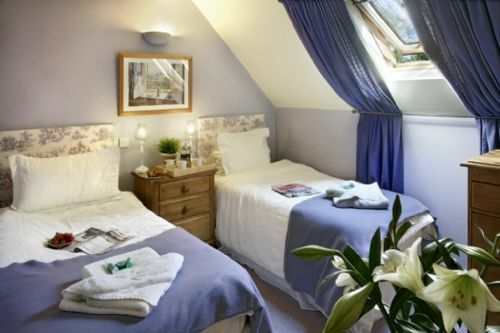 It's our flagship, award winning Enjoy England Five Star cottage for up to 10. This is the second time staying in these buildings, and I would always recommend them. Good location for access to the moor, really comfortable and the guys are really friendly and helpful when organising. I brought a group of 8 artists from Colorado, USA to stay at The Gallery at Ilkley Moor Cottages. The accommodation was as described and so much more. We were comfortable, well cared for and guests had plenty of places to relax, talk, eat and make art. We definitely recommend Westwood Cottages for your next holiday and we hope to return. The Old Gallery met all our needs. As a group of friends we love the familiarity of comfort and location. Home from home but better. This is our 3 rd stay at Westwood lodge and we keep coming back ! The accommodation is so comfortable and well stocked. The owners and staff are friendly and so helpful. The location is perfect and it is ideal for our extended family gatherings. The Old Gallery was an amazing place to stay. It was clean, warm and had everything one we needed for our 2 night break. What a wonderful surprise awaiting us 10 ladies was a home made Victoria sponge cake. Such a beautiful setting and the owners were warm and friendly. Even got a tour of the 20 person property which again was beautiful. Certainly had the Wow factor. Looking to book again for next January with my girlfriends. Loved meeting Tilly the pig and giving her some treats as well as seeing the cottages at the back of the big house. Take a look I’m sure once you’ve looked at it u will see the perfect getaway. If you do stay take advantage of the jacuzzi, sauna and the roof top terrace. Enjoyed Ilkley village in the day and The Vine restaurant that we all enjoyed. Food was delicious and staff were warm and friendly. From the initial booking to the time we left I was sent easy to follow instructions and lots of helpful information. A warm welcome met us on arrival at the property. The property itself was a perfect size for our family group of 8 adults and had beds to accommodate a couple more people. The house was perfect for us and we loved the open plan living space which meant nobody was left alone whilst cooking. The property was lovely and warm, clean and well equipped with everything from kitchen equipment to board games, dvds and books. A bonus was the hot tub, sauna and gym in the cellar which was shared by all the properties on site. Dogs are welcome and there were plenty of walks straight outside the door. We only stayed for a weekend but I would love to turn for a longer break. Had a brief but very enjoyable stay this week, lucky with the weather and made the most of being able to get out and enjoy the local countryside. The house was well equipped and comfortable and we really enjoyed the spa, pigs and trampoline! Stayed for a weekend, excellent location, lovely accomodation and staff were friendly and extremely helpful. The cake waiting for us on arrival was delicious. Will definitely be returning. 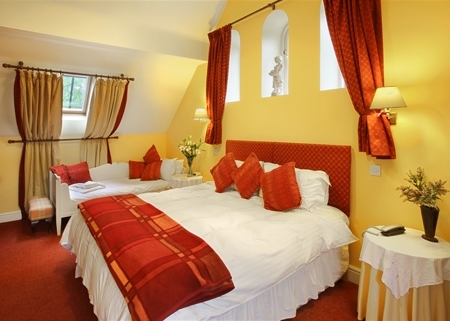 Westwood Lodge has everything you need for a comfortable stay with every detail thought about. Great location too. Showers/bathrooms could maybe do with a little modernising and my 6 ft 2” son struggled a bit in the single room! Other than that it was a fantastic place for a large group to stay and I would definitely return and recommend! Lovely place for a family get together. We had a great time. A short walk to get onto the moor. Loved feeding the pigs but beware the slippy steps - use the path down to see them, it’s worth it. Well equipped and very comfortable, with nice touches such as a fresh home baked cake on arrival. A very helpful and friendly team. I would recommend a regular and thorough check of potential safety items such as the iron. Feeding the pigs was great fun and the roof terrace and gym are nice touches. Many thanks. We're pleased that you enjoyed your stay. All of our appliances are regularly inspected in accordance with PAT (Portable Appliance Testing) regulations. We cannot carry out tests on everything every week but, as soon as we are aware of a faulty appliance report, the item is immediately withdrawn and repaired or replaced as appropriate. Great place to stay - will definitely be back - highly recommend. Manages to combine nothing’s-too-much-trouble service with a hands-off approach that gives you the space to relax and treat the place as your own. And what a beautiful place it is! As always our stay in Ilkley was enhanced by the comfort and excellent accommodation offered by the Old Gallery, Westwood Lodge. Our family, 3 generations, fit very comfortably in the Old Gallery and it’s close proximity to the moors is a plus. The lodge is equipped with everything one requires for self catering and being able to order groceries and have them delivered is very helpful. I booked the Old Gallery for my sister's hen weekend. It suited us perfectly as there was plenty of space for everyone, really nice communal areas and a great location for both a day trip to Harrogate and a night out in Leeds. Everyone commented on how much they had enjoyed staying at Westwood Lodge. Great holiday cottage in beautiful location. Great holiday cottage and beautiful location. Would highly recommend and come again. Ilkley moor on your doorstep with great walks. Ilkley is a charming town with good independent cafes and shops. The Old gallery was really lovely. It was in a beautiful location, within walking distance of the moors and the town. Great accommodation for 10 friends looking for a chilled weekend. Excellent accommodation for 10 people. Perfect for friends or family. Great communication and on site support from the hosts. Clean and comfortable and would recommend the Old Gallery for any group of friends looking for a home from home style experience. the accommodation was comfortable and welcoming. We were greeted on arrival and made to feel 'welcome'. The location is good and most convenient for town centre. The Old Gallery provided us with an ideal venue and fulfilled our every need. We had a very happy time. A great property on the edge of the moor within walking distance of town. Pictures do not do justice to how spacious the property feels. We had a lovely stay for my birthday celebrations. All my family stayed, and the apartment was very clean and comfortable. We didn't meet the owners but Justine the manager was there when we arrived, to show us round. A group of us stayed at the Old Gallery as we were doing a cycle sportive from Ilkley. The home was perfect, a comfortable retreat, well equipped and very homely. The roof terrace was amazing, shame the weather wasn't warm enough for us to stay up there too long. The sauna and hot tub proved invaluable after our very long bike ride. We would definitely stay again. we had a lovely stay at the old gallery. My family was visiting from Canada for our wedding in Ilkley. We all stayed at the old gallery before the wedding. It was a wonderful experience, great location and very comfortable. I would highly recommend staying here. My fiancé and I have also stay in the apartments which are lovely. We love staying at Westwood lodge! Great location and very comfortable accommodation. Slight negative with seating outside gallery, quite tight and not to easy for a few people to sit. This is aminor thing but just fealt if seating was easier it would have been great. The Gallery was spacious and well equipped. Lots of thought gone into making our stay enjoyable- games, DVDs, cake. It was quiet and relaxing with easy access to the moor and places to visit. A lovely conversion in an amazing location - across the road from Ilkley Moor, and only minutes to walk to the town centre. The bedrooms and living room are beautiful, with adequate bathroom provision. The kitchen is small, but fully equipped, although an induction hob would be an improvement. We enjoyed meeting the pigs, rabbit and chickens! We were delighted to find a house that accommodated all of our needs. We were booking only a few days in advance and have 4 children under 4 so it was not an easy task! The owners were very helpful and took the trouble to make sure we had everything we needed, including stair gates, cots and toys. They even collected our asda order for us and unpacked it ready for our arrival. The accommodation is comfortable and well-thought out and the garden area and surroundings are great for children. It is one of the more expensive houses we have stayed at but the facilities and service are excellent in return. Our 2nd visit to Westwood lodge. Excellent accommodation, everything you could possibly want is provided. Only one moan, the washer /dryer in the Old Gallery is useless and takes hours to dry anything. Luckily the additional dryer in the main building is accessible and works fine. 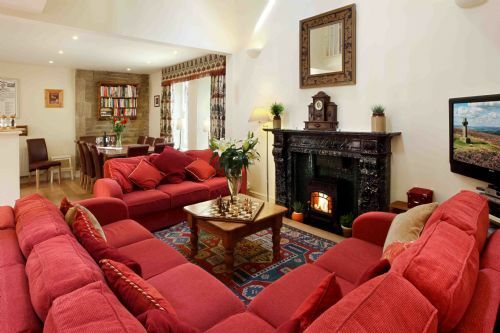 A beautifully converted property in a glorious location: the moor, Ilkley town & Wharfedale all offer so much. And the property is great for entertaining too. The perfect home from home, such a great place to stay! We had such a great time and definitely will be back again! Lots it lovely local places to eat and drink and highly recommend Betty's tea room for afternoon tea! I hired The Old Gallery for a hen weekend with 9 guests. The house was perfect! It was spacious but homely in a fantastic location. There is a lovely garden and we enjoyed going up to the roof terrace and taking in the views. We stayed in The Old Gallery at Westwood Lodge for 4 nights as we visited family in Ilkley to celebrate a golden wedding anniversary. We couldn't have been happier with the accommodation. A friendly welcome and delicious sponge cake set the tone. The Old Gallery was spacious and well equipped, and proved to be a great place to entertain the family each night we were there. The kids (7 and 9) were thrilled to have their own rooms, spent a lot of time on the trampoline and loved the chickens, pigs and rabbits in the garden. The view from the roof deck of the moors and Ilkley town is also fantastic. Hopefully there will be availability next time we are in town. Thank you very much for a very special few days. We stayed in the Old Gallery prior to my daughters wedding in Yorkshire and it was perfect for our group of 8. The welcome package of tea/ coffee and a homemade cake was delicious, we met the owner Paula who was friendly and helpful telling us the interesting history of the buildings and ensuring we were able to accommodate my daughters collection on the day itself. The surrounding gardens with trampoline, Wendy house and the Tilly and Terry (the pigs) were delightful, the children looked forward to having them sit and give you their trotters for feeding every morning. I would without hesitation recommend Westwood Lodge and look forward to returning in the future to enjoy this hidden treasure. We very much enjoyed our stay at Westwood Lodge. It was an ideal venue for the extended family to stay for our son's wedding. We would certainly recommend this to friends. It was also great having close friends staying in one of the apartments so that they could call in and visit. Lovely location with walks on the door step and also youcan walk into town,just be prepared for some hills. Lovely welcome tray with cake and tea ready for us. Plenty of room and more than enough crockery and utensils. Nice little bench outside to enjoy the sunshine and animal area and toys in garden for children. Lovely roof terrace to sit and enjoy the views too. Great cottage as it was disabled friendly, dog friendly and baby friendly which ticked all our boxesehen trying to find somewhere to stay. We wanted somewhere close to leeds where the wedding was held and Westwood lodge fitted this perfectly. We were a group of 10 with a Grandma aged 90 so the ground floor bedrooms and bathroom were perfect. We also had 2 dogs in our party who just relished the great walks on the moor just outside our doorstep. Ilkley itself was a nice surprise with lots of shops bars and real ale pubs. 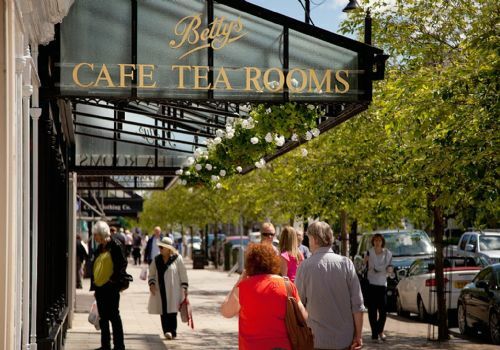 We even treated ourselves to afternoon tea at Bettys. It is in a great position to visit such places as Bolton Abbey, Salts Mill, York and Harrogate. We were spoilt for choice. In fact we ran out of time so we definitely will be returning. To celebrate my 70th birthday, myself and 2 children plus spouses with their children aged 7, nearly 4 and nearly 2 stayed for the weekend in the Old Gallery. It was absolutely perfect for our needs. The accommodation and its layout suited all ages and we enjoyed the garden facilities and the animals. We did not use the gym ,hot tub and sauna but sat, talked, played and ate in comfort enjoying every moment of our time together. Domestic chores were at a minimum courtesy of 'Cook' for all our prepared meals. The location is beautiful and all the adult members of our party would recommend to friends. I had family members of different ages and a few with mobility problems staying at the Old Gallery. the comfort of the beds and very pleasant fittings and decor. There were plenty of utensils for cooking and serving, with room to seat a number of visitors as well. They also appreciated the provisions supplied, in particular the cake! They enjoyed the ease of walking straight out onto the Moor whilst also having easy access to the town. The only slight problem was the parking area available, which was a bit difficult for the less mobile guests to access the front door, but they managed to get in alright. A very enjoyable weekend was had by all. We stayed here to celebrate our parents diamond anniversary. There were 15 adults in total so we were split between the gallery and apple barn cottage. Check in was swift and very welcoming. The freshly baked cake was a lovely touch. The kitchen was extremely well equips with plenty of glasses and crockery. It was a lovely walk down into likely which is a lovely place with plenty of excellent restaurants and bars. We chose bistro Pierre for the celebration lunch which was excellent value and managed to please 15 of us including vegetarians. Overall the Westfield lodge complex is very well maintained and geared up for large groups of people. Would recommend it to anyone and would like to return. The Old Gallery was everything we hoped for and more. Everyone we met was friendly and helpful. We stayed there for a family wedding and our family and friends stayed in the other cottages and apartments. A wonderful relaxing and comfortable break in Ilkley. is great, the rooms well furnished and spotlessly clean and Tim and his staff so helpful and friendly. There is so much to do in Ilkley and its environs and there is no better place to stay than at Westwood Lodge. As regards self-catering Westwood Lodge is among the very best. We were looking for somewhere to stay for Christmas within easy reach of relatives in Pateley Bridge and where we could bring our dogs and have access to good walks . We had our 2 grown up children with us and elderly mother so needed flexible rooms with easy access to one with nearby bathroom. We also wanted space to entertain guests. So you can see we were very happy with Westwood Lodge. The accommodation was extremely comfortable with all we could expect in the way of amenities and more. We could have made more use of the outdoors in better weather and can see what a great place it would be in summer. We enjoyed feeding the pigs; a little less sweet than in the brochure though! a larger cottage which was ideal for our family with 5 adults. The cottage was spacious, beautifully decorated and well equipped. It was homely, but we also felt pampered with the use of the jacuzzi and sauna within the property. We booked the place to celebrate our daughters 20th birthday with all the family and it couldn't have been nicer. A wonderful home baked cake and tea was laid out for our arrival and we were greeted by a friendly and attentive staff member. Even though there was a large hen party in the main house adjoining our cottage we were never disturbed or aware of any noise. Living in Dorset and with two children at Leeds Uni we will definitely be back for future family get-togethers! As former residents of Ilkley, our visiting friends and relations really enjoyed staying at Westwood Lodge. Having moved away from the town some 3 years ago, we now look forward to our return visits, and always hope that we are able to stay in one of the lovely cottages at Westwood Lodge. We were fortunate enough to have the use of The Old Gallery recently, which was a joy, especially as it is set up so well for anybody with a disability. If you are considering a visit to this lovely area, we would highly recommend you enjoy the facilities and hospitality at Westwood Lodge. Just spent a weekend with all my girlfriends. We had a wonderful time and I would absoloutely recommend staying here. We will be returning, great location and lovely house. I am a Londoner born and bred who fell in love with Yorkshire when I had the privilege of working for a Leeds based company 15 years ago. I met some incredible people during that period one of which I am still very close friends with and happens to live in Ilkley. It wasn't therefore a difficult decision to spend my weekend away to celebrate my 60th birthday in this beautiful part of the country. We hired The Old Gallery for three nights and it was just perfect. I arranged for a local company to provide dinner for us on the Saturday night which allowed the 10 of us to sit round sipping wine and chatting to the early hours. Once the food had been eaten we were all able to sit in the large lounge area where everyone was able sit and continue the fun. The Gallery is very well equipped it has everything you could need for a long or short stay. We were here for a family wedding . After a long journey from Bath we eventually arrived .The house was so welcoming and the tray of tea with the delicious homemade cake was such a lovely surprise. It all couldn't have been better .... just wish we had a bit longer to explore the beautiful area. Next time !! A generous and respectful conversion, the house is brilliantly located for walkers, right on the edge of the moor, and convenient for those who want to use the facilities of Ilkley or go to Leeds, Bradford or Saltaire on the train. The Gallery provided everything we needed for our stay, and more, with a home made cake to welcome us, and a really useful little honesty shop for those things we forgot. A very detailed guide told us about things to do in the area and gave really honest assessments of the local restaurants and pubs. Our 3 year old really enjoyed the garden with the animals, wendy house and trampoline; she also enjoyed going to the shop to choose her own tiny box of cereal for breakfast. Our only complaint was that noise carried quite easily through the house and those of us who were up late or early worried about disturbing those still asleep. However, if we come back to Ilkley I can't imagine staying anywhere else. Great stay at the old gallery....fab place and ideal location for walking and shopping! Really enjoyed our stay, house and grounds fab..loved the roof terrace! We booked the Old Gallery to accommodate our family and also friends who live in Ilkley. The location is great with the moor being on the doorstep and the rest of the area easy to access. The kitchen, dining and sitting areas are very good for what we wanted. The bedrooms are OK although we did not use the downstairs bedrooms. The only criticism I would make is that the main bedroom bathroom is small, smells rather damp and a bit claustrophobic. The shower is OK however. The support facilities were enjoyed by our grand-children eg the trampoline, feeding the pigs and the DVD library. The electronics need a bit of attention as the DVD did not work without attention to the TV connector and the TV in the main bedroom (despite attention from the handyman) was hopeless with poor reception for a limited number of channels. This was not an issue for us as TV was not one of our priorities. We enjoyed the location, quality and services provide in this converted stone mansion and outbuildings. It was a relief to have safe play areas and animals that the children could enjoy, without constant supervision. In addition the owners provided a welcome pack and little essentials that are very useful, like salt and pepper, tea towels and washing-up liquid! You can walk to Ilkley on pleasant trails in 15 minutes (uphill return though). Buses also take you to and from town if you need it. There are rambles from the door, and many local excursions and places of interest in the Dales around Ilkley. What a wonderful complex ,we stay in lots of holiday cottages and this is by far the best the facilities are excellent .Tim and Paula have thought of every thing ,even down to treats for the dog. Everything was of a high quality beds ,linen and crockery . Justine over sees the house keeping which is of a very high standard ,she is very helpful and friendly . We had a fantastic week ,even the sun shone . we stayed 7 nights, and would recomend westwood lodge, not far from Ilkley center. the old Gallery was perfect for the 6 of us (+2 kids). the views from the rooftop were amazing. Perfect accommodation for a girls weekend! We visited The Old Gallery as a hen party and it was perfect - the jacuzzi was definitely used and the views from the roof terrace were stunning. But the best bit was definitely the Old Gallery - we had so much space for everyone with lots of seating, a great kitchen and comfortable bedrooms after a long day of visiting Ilkley and enjoying our evening together! If you're looking for a laid back hen party with friends, a bit of pampering and a lovely afternoon walking around shops and views across the Moor then this is the venue for you! The old gallery provided a brilliant place for a family reunion with able space and good facilities for the member of our family with disabilities. The open plan area downstairs served our purpose well. The Old Gallery was chosen to accommodate the whole family for this celebration which included two grandparents two parents and four children. There was plenty room for all. Everything that could be provided was provided. It was comfortable and met every need for our stay. Even parking was right outside our door. We stayed in The Old Gallery and were greeted with a very warm welcome from Justine and a delightful tray of goodies, including a delicious Victoria sponge - a lovely touch. The property couldn't be situated any better - literally with Ilkley Moor on our doorstep. We only used the car once during our stay to go to Bolton Abbey and walked from the house the rest of the week. It is a very comfortable property and the owners seem to have thought of everything - from providing shower gel to dog towels and treats. The weather was amazing so we made good use of the garden and roof terrace. We would definitely consider coming back to Westwood Lodge. The Old Gallery gave us the perfect space we needed for a range of ages from 3 years to 75years! Our two labradors thought they'd died and gone to heaven, with the wonderful walks on the doorstep. We had changing weather from raging gales, snow and sun, but I can honestly say it just made the holiday better, seeing the changing landscape colours. Feeding the chickens and pigs, and the grounds with games and wendyhouse was a bonus. The fitness fanatics enjoyed the facilities in the gym. A really comfortable, and tastefully decorated property, offering everything needed for a perfect family gathering. Thank you. A 21st Birthday to remember! The Old Gallery was a perfect setting for our daughters 21st Birthday. We all enjoyed the cottage...from 21 year old Emma to 83 year old grandad! Very well equipped with lots of room to spread out and the setting was superb...right on Ilkley Moore. We would definitely recommend this cottage and we would love to return again. We had a fantastic, comfortable stay in The Gallery over New Year. The whole place was really clean upon arrival and the kitchen was very well equipped for cooking meals, with ample crockery, utensils, cookware etc. The rooms were comfortable and the downstairs rooms were great for elderly family members who wanted to avoid stairs. The location of Westwood Lodge was great, with excellent walking right from the front door but only a short walk or drive in to Ilkley for shopping and restaurants. Overall, we had a fantastic experience and would highly recommend staying in The Gallery to anyone thinking of a trip to Ilkley. Five stars! Tim and Justine made us feel very welcome. the gallery was great for our size of party, and the young children especially enjoyed the garden - the pigs, chicken and rabbit plus the play-house and trampoline were just wonderful to have on-site. everything in the kitchen worked - nice to have the store on site, and we used the sauna and jacuzzi more than once. Probably the best house rental we have done as an extended family - 6 adults plus 4 kids. add to that some good weather and the moors just across the road and we were very happy. Great place, very friendly hosts, comfortable clean and great for families. Full range of facilities, good free wifi, and parking on site - recommended. Very comfortable accommodation in an excellent location, well equipped. Worked perfectly for our party of 9 (80th Birthday) and the family Labrador. Looking to book a Westwood Lodge site again for next year as only scratched the surface as to sight seeing. We stayed at The Old Gallery for a hen weekend and the property was perfect - the roof terrace, jacuzzi and farm area were particular favourites for our group. The kitchen was really well stocked for a large group and it we enjoyed eating outside in th epicnic area. It was convenient for the centre of Ilkley and the owners were quick to respond to my queries ahead of our stay, which I really appreciated. The only negative was the rather loud plumbing in the bathrooms. This property is lovely for a big group of mixed aged groups as ours was. It is well equipped so easy to self cater. It is comfortable, well thought- out and in a superb location. We had such excellent weather so the children's playhouse and trampoline were well used. We barbecued (everything necessary on site) and used the small garden attached to our property to sit in. 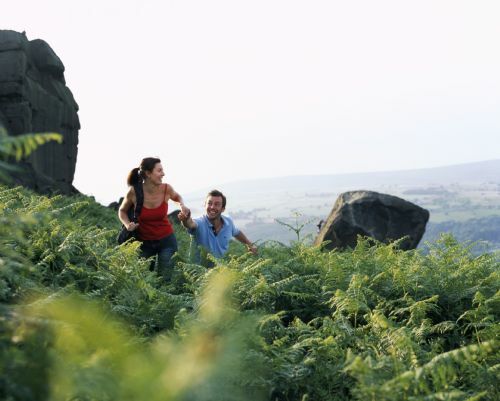 Ilkley and its surrounding countryside is beautiful - plenty to suit all interests. A short walk from The Old Gallery takes you across the moors and to the Cow and Calf rocks. A shorter walk takes you to the pretty Tarn and all the ducks. A 10 minute walk takes you into Ilkley but the uphill return takes a little longer. We had a lovely stay and will certainly return. The superb cake on our welcome tray helped us settle straight away as did the friendly welcome of the owners. 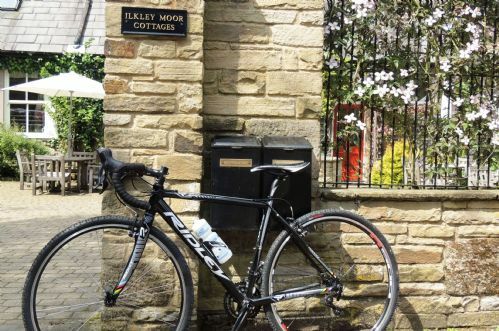 Immediately the route for the Tour de France was announced we booked our accommodation at Westwood Lodge where we have stayed on many previous occasions with our three daughters. Now all married their husbands came as well so there were eight of us for a week. From the very first exchange of email correspondence we felt at home as Tim provided all the information we could have asked for. We asked our daughters to provide input for this review and the following are their comments. "Wished we could have stayed longer"
"We loved that we could feed the pigs"
"Very comfortable - it felt like home and the Old Gallery had everything we needed. Loved being near the moor and really liked sitting on the rooftop sitting area"
"Really felt at home due to the great room and the people who own Westwood Lodge"
We have stayed in many places in England and love coming back to Westwood Lodge. 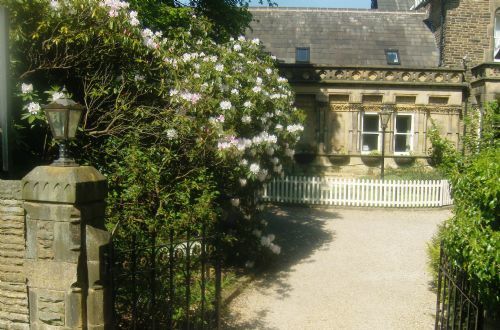 There is no better place to stay when visiting Ilkley than Westwood Lodge. Don't hesitate in making this your base when visiting the area. Thoroughly enjoyable weekend in a house large enough to contain our two daughters and their children ( 11 of us in total) without feeling cramped. Extremely well equipped and within easy reach of the town and the moor for either shopping or walking. The grandchildren loved the trampoline, pigs and chickens. The cottage had pretty much everything we could have wished for & we'd happily come again if staying in the area. We had a party of 10 (plus dog) and the layout was perfect. The gym & jacuzzi were a nice bonus. Everything was enjoyed, especially going up to the roof garden and the nearness to the town and the walks on the moor, Although there were other guests enjoying their stay the noise did not seem to carry. 16 members of our family took two of the cottages and The Old Gallery for a family reunion. We have had a wonderful time, and your accommodation has helped to make our holiday very special. Comfortable, fully equipped and characterful, The Old Gallery has been the focal point for big family meals and lots of fun. The layout has been perfect for us, and the other facilities at Westwood Lodge have also been much appreciated. Tim and Paula 's warm welcome and thoughtful gestures (thanks for the cake Paula!) got our holiday off to a great start. We know and love Ilkley as many of us lived here a decade ago - it is as beautiful as ever with wonderful walks, spectacular landscapes and great shops. All in all, our stay was perfect - we will be back! First the good things: the location is AMAZING - right across from the moor. The buildings are beautiful and well maintained. The beds are incredibly comfortable, the space is very clean. The owners are charming and very helpful. The kids loved feeding the pigs and bouncing on the trampoline. Now the not so good things: the kitchen is really not great. The stove is electric and hard to cook on. The fridge is so-so, freezes lettuce in and has seen better days. The dishwasher strangely lacking racks to put dishes on and left many dishes dirty. The decor has seen better days too, a bit kitsch overall. The details haven't been thought through - no soap dish in the master shower, no towel racks. The bathtub is disappointingly shallow (no sinking in to a hot bath after a day out on the beautiful moors!) and the water not as hot as you'd like (although perfect in the showers). The workout area, while spotlessly clean, really smells of damp and does not feel like a particularly great place to exercise in. The hot tub, which is more of a lukewarm tub, also smells strongly of damp. Overall, I really don't like writing negative things or being so pernickety, especially when the owners were so kind and helpful, but for the cost, we expected a bit more. That said we did have a lovely weekend! So many great things going for this gorgeous spot. We're really disappointed that you were unhappy with some aspects of your stay as we try very hard to attain and maintain high standards throughout. Indeed the Tourist Inspector assessed our properties only a few weeks ago and again awarded the 5* rating for The Old Gallery. She noted that we have invested heavily in new facilties and upgrades this winter. We therefore want to respond to the various negative points youâ€™ve raised. In the case of The Old Gallery, this was redecorated only a few weeks ago as we work very hard at keeping things fresh and clean. Our aim is for guests to feel as though it is their own home for the duration of their stay, with no evidence at all of previous guests. With that in mind weâ€™re very pleased to read your report of the high standard of cleanliness throughout. We think youâ€™ll appreciate the challenge we face in keeping everything spotlessly clean, especially in properties which are frequently occupied by children and dogs. Ironically, with respect, the state of The Old Gallery when you left, presented an exceptional challenge for our housekeeping team. The new range hob was thick with bacon grease and crumbs; the dining room table had paint marks where children had been doing arts and crafts; the lounge floor had something very sticky like glue or play-dough stuck to it; and the sofa was covered with dog hair, despite you agreeing that your dog would not be allowed on furniture. We were especially disappointed to read your description as it "has seen better days and a bit kitsch". Weâ€™ve never before received comments suggesting that the dÃ©cor is â€˜tastlessâ€™. Whilst dÃ©cor is a personal issue, the vast majority of our guests have nothing but praise for the accommodation. The kitchen, which was also a source of disappointment to you, has had a brand new range cooker installed only last month and the dishwasher, of which you were also very critical, is a top of the range Bosch, again only recently installed and with folding racks to enable pans to be cleaned. We will certainly check the fridge temperature as it sounds as though it may be set a little too cold. With regard to the low bath, The Old Gallery has a disability access rating to enable elderly and infirm guests or those needing use of a wheelchair to stay. The bath is specifically designed to enable both able and our many less able guests to use it. It meets the disability access rating requirements as does the thermostat that prevents scalding hot water, which is also important for childrenâ€™s safety. 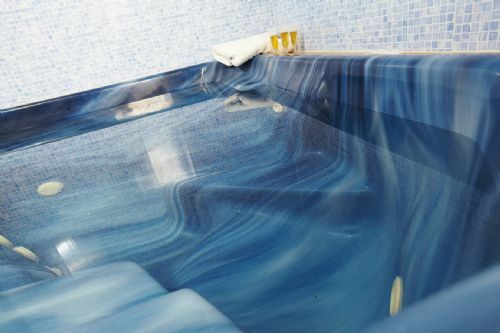 Just imagine an elderly person or child slipping into a deep bath of scalding water... Thank you for raising the other shortcomings of the bathrooms. The towel rails and soap dishes have not been replaced since the recent refurbishment. We apologise for the state that you found the hot tub area. We are aware of the need to keep this area well-ventilated and have recently installed a dehumidifier. Our rule is that children are not allowed in there unless accompanied by an adult on safety grounds, and also to make sure that the instructions for using the heavy equipment are followed properly. We may not have made this clear to you as the children seemed to be roaming down there freely. Unfortunately, the cover had not been put back on after use of the hot tub, thus the humidity in that area has resulted in condensation, a smell of dampness and loss of water temperature. We perhaps need to consider stricter monitoring of the gym/spa area to prevent this happening again. We do hope that youâ€™ll consider our response to your comments in the spirit intended and that you wouldnâ€™t be put off staying with us again, especially as you say you enjoyed a lovely weekend in this gorgeous location. You have the moor on your doorstep and a town with restaurants coffee bars and shops in walking distance. It has everything you need for cooking in the kitchen. Very comfortable, spacious, well equipped. The jacuzzi and sauna made it for us. Great for a group with an age range of 18 to 80 (plus dog). Beautiful cake on arrival enjoyed by all. Thank you! We had a fabulous short break at Westwood Lodge - the perfect spot for a group of 7 forty something old school friends to catch up and relax. The Spa downstairs, the Moor on the doorstep for brisk dog walks and the delights Ilkley just down the road made it more complete. We hope to make it a regular thing. A good place to stay in the area. Very clean, warm and a nice cake on arrival. Felt v homely. Bedrooms were quiet and comfortable . Only criticism was the kitchen. The apartment is for 10 people and whilst there are 5 good bedrooms the kitchen is not suitable to cook for that number. The toaster was broken as the heating elements didn't turn off with the timer, potentially v dangerous.The single oven was difficult to operate as the markings on the controls were worn out. We managed to control it by finding a picture on the internet. The fridge was too small for 6 people let alone 10. A good place to stay if you intend to eat out a lot but not good if you want to make dinner for 10. Thank you for your comments. The Old Gallery has a large upright fridge freezer and we are planning to add an extra drinks fridge and additional food preparation area which will include a double oven. The toaster has been checked and found to be working correctly. It is not a cheap "pop-up" typre but a heavy duty Dualit model. You may not be familiar with how this works as it has a manual timer dial that needs to be wound to the minimum setitting of 1 minute. The instruction leaflet is in the blue folder which also explains how the oven works. An absolutely fantastic venue for our annual get together. One or two hiccups of our making were very quickly sorted by the owners without any fuss at all. Thank you! The location is wonderful - in just a few minutes you can be on the moors or in 5 minutes down in the town. Would love to come back with the family, and of course with my lovely friends, if for no other reason than to have another slice of the Westwood Lodge victoria sponge! My sister had rented Westwood Lodge for a significant birthday and family get together in July. The main party came from far & wide and had a week at Westwood Lodge. It was perfect for us, 20+ sat down to meals cooked in the very well equipped kitchen in the dining room. There were also 2 parties for larger groups during the week and it never felt cramped. The two lounges had bags of room to spread out in. The roof terrace was fantastic to watch the sun go down with great views across Wharfedale. The bedrooms were super too. I stayed in the Old Gallery which was fantastic. It connects through to Westwood Lodge. Well equipped, lovely rooms, the sitting room extremely comfy. It was lovely and cool with high ceilings, electric controlled Velux in the roof. The family group came from USA,Scotland, Wales,Finland and closer to Ilkley and ranged from 3 to 70's. There was lots to do for everyone (not all together) York, Leeds to the Armouries, Harewood House, The Great Yorkshire Show. Salts Mill at Saltaire, Skipton Castle, Bolton Abbey and the river and as it was July the Lido open air pool in Ilkley. Ilkley Moor was literally on the doorstep for the more active to walk the dog. It was less than 10 minutes to walk down to Ilkley, a bit more back up. The garden was fine (the pigs a huge attraction for the children) an evening croquet competition after dinner was a hit. Everyone was helpful and friendly, good cakes on arrival and I would recommend Westwood Lodge or the Old Gallery to anyone looking for a holiday house in the area. Not sure of cost which is why I scored good. Our stay in The Old Gallery was as usual most welcoming with a beautiful homemade cake waiting for us, home from home with every thing you need. All top quality decor and furnishings, entertainment provided for the young and old. Even the the garden provided fun for all, which included Tilly and Terry the friendly Piggies, the rabbit and the chickens. Super location at the foot of Ilkley moor, magnificent views and the town a short walk away. Many places of interest to visit and many walks to do. For Tim and Paula nothing was too much trouble and always on hand if needed. My family came to England for two weddings and had the pleasure of staying at Westwood lodge. There was ample room for the seven of us and all enjoyed it.